What to do before the robots attack? It’s an uncertain world. What if one day something eradicated the staffing industry? What if a technology changed the workplace so much that it rendered the staffing agency obsolete? Will the robots get so powerful they will attack? Probably not, however it’s the dawn of the future and we are facing an array of technologies that are truly disruptive. The way we engage with our customers, clients, and employees has changed like never before. These ‘what ifs’, challenges and concerns are faced by staffing organizations around the world, so when Professional Advantage was given the opportunity to present an ideas in action session at Staffing Industry Analyst Executive Forum’s 25th Anniversary in Phoenix, Arizona we jumped at the chance. At Professional Advantage, the creators of 1Staff, we have been building high performing teams for over 25 years, so naturally we had a lot to share with attendees on how organizations can better leverage technology. In our ideas in action session, the 1Staff team provided some thought leadership on how to build a high performing staffing agency. Our speakers included Steve Ferhad, a member of the 1Staff team, and Rich Choi, a leading member of Microsoft. They shared some insights of technology advancements in addition to a few of the keys to creating an agile collaborative organization with engaged candidates. It is not the strongest of the species that survives, nor the most intelligent that survives. The one that survives is the one that is most adaptable to change. We explored various technologies, discussed what could be holding back organizations from leveraging technology, and shared the keys that unlocked success for hundreds of our 1Staff customers. In closing, we reestablished a method for embedding sustainable change and encouraged our clients to think carefully about the human element of change, after all, we are not all robots, yet. What holds us back from leveraging technology? The Right Technology Partner: Finding a technology partner who is big enough and invests enough to leverage the future, yet understands the staffing world intimately. The Right Technology: It’s hard to know what is around the corner, how can I pick a platform that plays nice with everything today and tomorrow? The Human Element: How can we achieve the behavioral change we hope to implement with better team collaboration, communication, and better decision making? Many staffing executives are trying to ride this wave of new technology. Unfortunately, too many executives we spoke with at SIA are merely trying to keep their head above water while market forces and disruptions within the industry are dishing out change at an unprecedented rate. The ones trying to ride this wave and utilize technology for competitive advantage will prosper. Those treading water will continue to struggle while their competitors continue to be more efficient, more effective, and profitable through engaging their customers, clients and employees with the right technology. Those of you who are resistant to change may not survive the next round of market disruptions. Those executives that become early adopters will transform their organizations, disrupt their markets, and seek new heights of success. Attendees of our session welcomed the presentation from Microsoft. Key messages resonated, and many realized that Microsoft is starting to play nice with everyone. At one point in time, Microsoft delivered an all or nothing proposition, but they are now embracing an open and collaborative marketplace. These videos give us a great insight into where Microsoft is investing, and what is coming your way soon. We were delighted for the opportunity to share it. How can I embed this change? 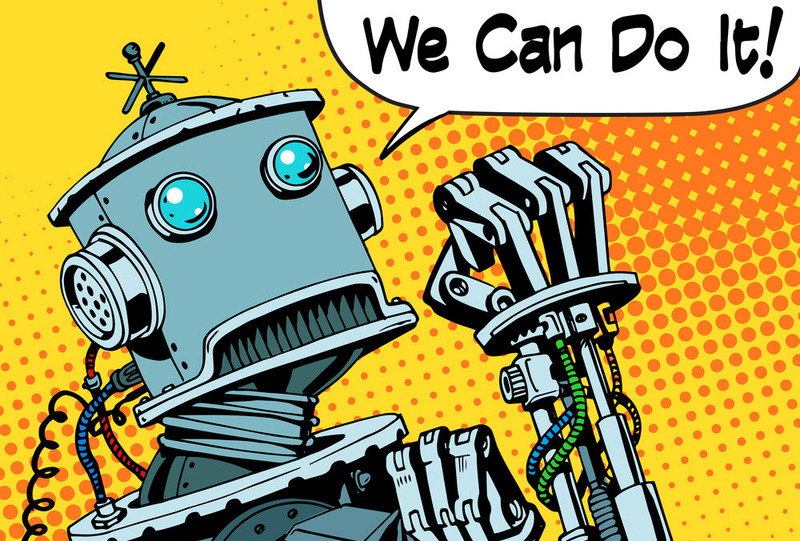 We are not all robots, yet, so if you are looking at turning your business into a high performing staffing agency we would like to share how you can help manage the human element of change. We talked at length about the how to make our teams ready, willing and able to embrace change. Here is a post you might find useful for any change you would like to embed. Overall, we hope we have been thought provoking and would be delighted to help you embrace technology to become a high performing staffing agency.